The Columbus Blue Jackets lead the Tampa Bay Lightning three games to none in the first round of the playoffs. This is not good for a team that finished with the best regular-season record. 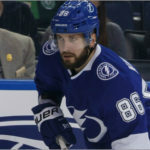 Not helping the Lightning was that Nikita Kucherov was suspended for boarding Markus Nutivaara in the third period of Game Two on Friday night. This is one of the most interesting hits I have seen recently. At first glance, it looks like Kucherov is taking out his frustration on Nutivaara with a cheap hit on the boards. If you watch the replay, you can see Nutivaara continues to try to play the puck from his knees and is engaged with the puck when Kucherov hits him. I think the NHL saw that too, considering they suspended Kucherov for boarding, not for a dirty hit. Regardless of your take on the hit itself, this was a bonehead move by Kucherov. The Lightning were down 5-1 in the game and were a little over four minutes from being down 0-2 in the series. Doing anything to compromise playing in the next game was pure stupidity. I get the frustration. In my time playing sports growing up, I definitely took my frustration out on opponents more than once. That still doesn’t justify the decision Kucherov made to level Nutivaara against the boards. Thus, the Lightning had to go into Columbus down 2-0 in the series without their best player — and lost that one, too. That being said, if there is any team right now that can rebound from an 0-3 deficit, it’s the Lightning. 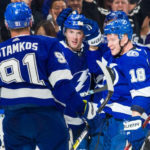 If Tampa does lose the series, fingers will definitely point at Kucherov; not just for his one-game suspension, but for his failure to contribute offensively. 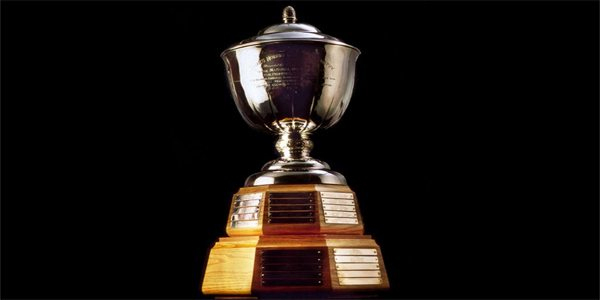 This week, I’ll predict I who I think will take home the Norris Trophy for this season. The Norris is given to the league’s best defenseman. There are a lot of great candidates to choose from this year so this award should be a surprise! Brent Burns is the best offensive defenseman in the league, hands down. Burns’ put up a career high in assists and points this season with 67 and 83 respectively. He was fifth in the entire league in assists and was first among blueliners in assists and points. Burns also scored 16 goals which was tied for fifth among defenseman. He was seventh among d-men in ATOI. The narrative is also important. Burns was the best defenseman and leading scorer for a Sharks team that finished second-best in the Western Conference. He carried the Sharks blue line while Erik Karlsson struggled to score during his first few months with San Jose. Burns had one of the better offensive years for a defenseman in recent memory and held his own defensively. John Carlson doesn’t get enough love as one of the better defensemen in the NHL. 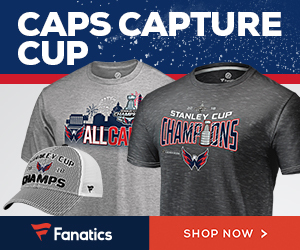 Last year was his breakout year as he helped the Capitals win their first Stanley Cup. He also netted himself a pretty big payday. Carlson earned every penny of his eight year/$64 million deal this year by setting a new career high in assists, with 57, and points, with 70. He finished tied for second, with Mark Giordano, in assists among defenseman, and fourth in points. Carlson is also a major contributor on the Caps’ deadly powerplay and was second among defenseman with 33 power play points. 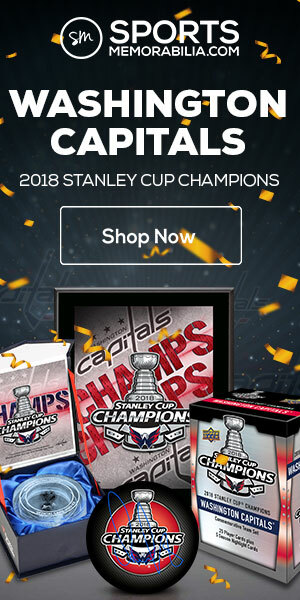 He is a major reason that the Caps look every bit as good as they did last year on their run to the Stanley Cup. Calgary’s captain, Mark Giordano, had the best year of his career at age 35. He set new personal bests in assists and points with 57 and 74 respectively. He was tied for second in assists among defenseman and second in points. He was a plus 39, which was not only a new career high but led the entire NHL. As Giordano elevated his game, so did his team. The Calgary Flames finished with 107 points, which was good for first place in the Western Conference. Giordano was a major contributor in helping the Flames cement themselves as one of the league’s best teams. All three defenseman are so close in stats that team play and narrative will certainly decide this award. That’s why my pick for this year’s Norris Trophy winner is Mark Giordano. His numbers are almost as good as Burns’ and just as good as Carlson’s, if not better. Giordano also gets the edge defensively. Burns has the reputation as riverboat gambler and gets burned on occasion. Carlson is good defensively but doesn’t match up to Giordano. 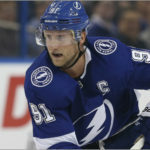 Leading the entire league in +/- cements his status as an elite defensive defenseman and is the one statistic that really stands out among the three candidates. Team play is important too. All three guys play on great teams. But, the resurgence in Calgary can definitely be attributed to the great season Giordano had. Overall, I think Giordano had the most impressive season and was the best DEFENSIVELY among the three. That’s why I think he is deserving and would get my vote for the Norris Trophy. Every year, people doubt the Sharks can keep up their high level of play, and every year they remain contenders. This year was no different, as the Sharks cruised to the second spot in the West and finished with 101 points. They are a team that continues to rely on their core of forwards, Joe Pavelski, Logan Couture, and Joe Thornton, all with 50+ points this year, and superstar defenseman Brent Burns. A few new faces arrived this year that provided a much new boost for an aging roster. Erik Karlsson was the biggest name to join the Sharks this past offseason. Karlsson was dealt by Ottawa over the summer in a highly-publicized blockbuster trade. Although he didn’t put up the offensive numbers we are used to seeing from him and battled a few injuries (he missed 29 games), he still had a great year. Karlsson finished the season three goals and 42 assists. He was also a plus six. That is the worst total offensive output from Karlsson since the 2012-13 season, where he played 17 games. He points-per-game numbers were still very good and were only a tick below last year. So, when Karlsson played, he was still himself. Evander Kane is also a fresh face that helped the Sharks this season. Kane was traded from Buffalo at the deadline last year and fit in very well with San Jose. I love seeing Kane play for playoff teams instead of wasting away in Buffalo. Kane matched his career high in goals with 30 and came within one point of setting a new career high. He finished the season with 30 goals, 26 assists, and 56 points. It was huge for the Sharks to sign the 27-year-old to a seven year/$49 million extension, ensuring they could replace their aging core when the time comes. San Jose also saw a few players already on the roster take major leaps this year, most notably Tomas Hertl and Timo Meier. Hertl made a big splash as a rookie back in 2013-14 when he scored four goals in one his first games; his fourth goal was pretty memorable. This year, Hertl made huge strides as set career highs with 35 goals, 39 assists, and 74 points. He was second in points for the Sharks and injected a jolt of youth into San Jose’s roster. Meier took a huge jump in his development this year and was a key piece for the Sharks. After being drafted in the top ten in 2015, he made it to the show within a year. He played in 81 games last year and scored 36 points. This year he almost doubled that number and finished with 66 points. It’s huge for the Sharks to get production from young guys because they have no money left to sign top tier Free Agents. Overall, the Sharks are a world-beater. Their roster is riddled with superstars of old, present, and new. They have a ton of offensive and defensive firepower and a solid goalie in Martin Jones. The Sharks are currently down two games to one in their first round series against the Vegas Golden Knights. But I wouldn’t be surprised if the Sharks bounced back and eventually went all the way. The Blue Jackets hold a 3-0 lead over the Tampa Bay Lightning. With Tampa’s future in doubt, I have started looking towards a potential Eastern Conference Finals matchup between the Toronto Maple Leafs and the New York Islanders. Columbus beating Tampa would make the path to the Conference Finals much easier for the winner of the Boston-Toronto series. If Toronto can get past Boston, they can surely get past Columbus too. Meanwhile, the Islanders sit up 3-0 on Pittsburgh and will most likely play Washington in the next round. If Toronto and New York both make it to the conference finals, then we would have one of the most exciting playoff matchups in recent memory. This would be the John Tavares Cup. We all know that Tavares left New York for the greener pastures of Toronto over the summer. It’s safe to say that he alienated every Islanders fan on the planet by making this move. That was obvious when he made his return to New York earlier this season. You probably remember the few fans that threw plastic snakes onto the ice. Now imagine that hostility over a seven-game series. I can’t remember the last time a fanbase harbored that much hate for one player. This is the series we deserve and I hope we get to see it. I would no doubt tune in for every game, especially those in New York to see the fans react to Tavares. 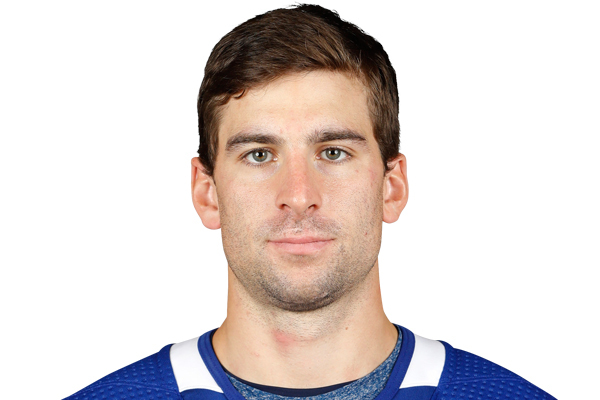 I would feel bad for Tavares as he’s probably dreading a series with the Islanders. It would surely take a few years off his life. Hopefully, the Islanders and Maple Leafs pull through so we can see who wins the John Tavares Cup. Saturday night marked the end of the College Hockey season as Minnesota-Duluth repeated as Frozen Four champions. I want to give a special congrats to them because most people probably didn’t even know Minnesota-Duluth was a school, much less having won the Frozen Four in back-to-back years. What is more interesting than Minnesota-Duluth is a player that lost Saturday’s title game. 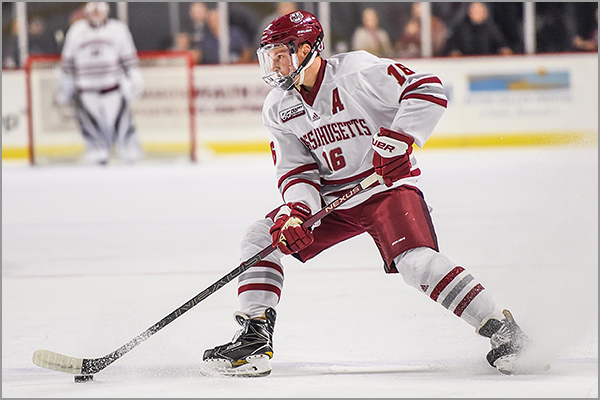 UMass defenseman Cale Makar helped lead the Minutemen to the National Championship Game. Makar was the fourth-overall pick in the 2017 draft and has spent the last two seasons in school. 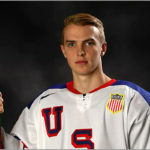 He won the Hobey Baker Award this year, given to the nation’s top player, after leading all defenseman in points, with 39 (16 goals, 33 assists). 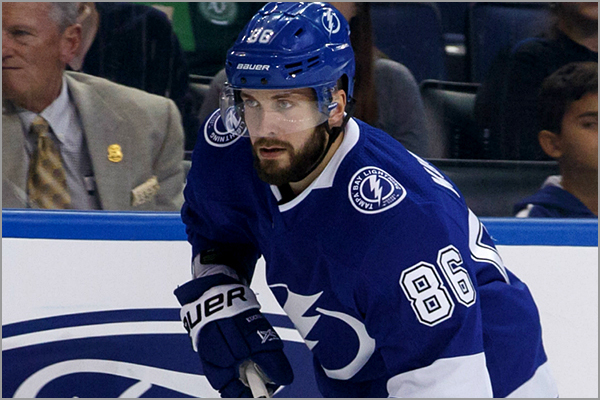 Kucherov’s play was dirty and he’s lucky he wasn’t suspended for more than one game. He knew what he was doing. Frustrated absolutely but, there’s a place and time for that. That just wasn’t the moment. That kind of hit could have ended a career. Would he have earned more than one if Nutivaara was injured? Fingers should be pointed at the whole team for these losses. Figured after the season they had it would be a cake walk to the Cup. We’ll see what happens tomorrow night with them but, have a feeling the Lightning’s season will be over soon. Giordano for the Norris should happen and has a great background story to accompany it. If the Sharks weren’t notorious for choking, I’d give them a shot. The West is the Flames to lose. The only Tavares Cup you may see is the one he wears out on the ice. There is no way the Leafs win this series. 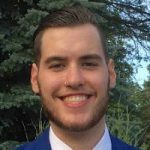 Kadri done for the Playoffs and possibly longer. Unless the Leafs play better without him on the ice. I just don’t see this happening. Bruins have been a legitimate contender from the onset of the season. Krug and Debrusk are both in the lineup. Team will be rearing to go. Wish nothing but the best for Makar as he enters the next chapter of his career. Looking forward to seeing you here next week Blake. Keep up the great work!